Black Cat is privileged to welcome Eddie Henderson and his quartet for three nights in December. 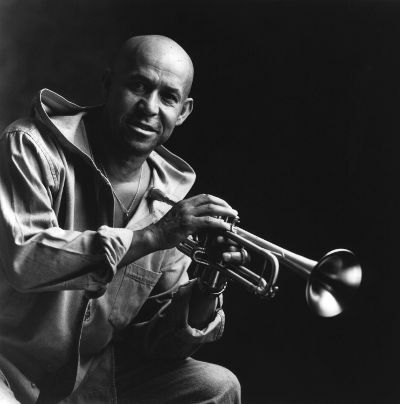 Eddie Henderson was one of the few trumpeters who was strongly influenced by Miles Davis’ work of his early fusion period. He grew up in San Francisco, studied trumpet at the San Francisco Conservatory of Music, but was trained to be a doctor when he permanently chose music. Henderson worked with John Handy, Tyrone Washington, and Joe Henderson, in addition to his own group. He gained some recognition for his work with the Herbie Hancock Sextet (1970-1973), although his own records (which utilized electronics) tended to be commercial. After Hancock broke up his group, Henderson worked with Art Blakey and Mike Nock, recorded with Charles Earland, and later, in the 1970s, led a rock-oriented group. In the ’90s, he returned to playing acoustic hard bop (touring with Billy Harper in 1991) while also working as a psychiatrist. Joining Eddie Henderson for this special three-night engagement are Peter Zak on piano, Essiet Essiet on bass, and Sylvia Cuenca on drums.